This fall, Tyler Florence hits some of the country’s top food cities and pits local chefs against each other in a fierce fight to become their hometown champ in the new competition series “Bite Club.” In each location, five chefs arrive prepared to cook in an unknown kitchen, and are greeted with a game of chance that results in two chefs becoming the competition’s judges. The three remaining chefs then go head-to-head in two rounds of intense secret ingredient cooking battles, where their peers ultimately decide who becomes the city’s Bite Club champ. The six-episode series premieres Thursday, September 6th at 9 p.m. ET/PT with Chicago, followed by episodes in Savannah, Indianapolis, Milwaukee, Charleston and Nashville. In the series premiere, five of Chicago’s most talented chefs meet Tyler in an Italian restaurant kitchen they have never cooked in before. Luck determines which two will serve as judges and which three proceed to the kitchen. Round one throws the competitors for a loop when they are presented with alligator meat – but they rally and take advantage of the restaurant’s powerful pizza oven in the hopes of cooking it just right. The most successful two chefs move to the next round, but only one is named the Windy City’s Bite Club champ. After each city’s battle, catch behind-the-scenes photos and fun moments at FoodNetwork.com/BiteClub, as well as Food Network’s Facebook and Instagram pages using the hashtag #BiteClub. 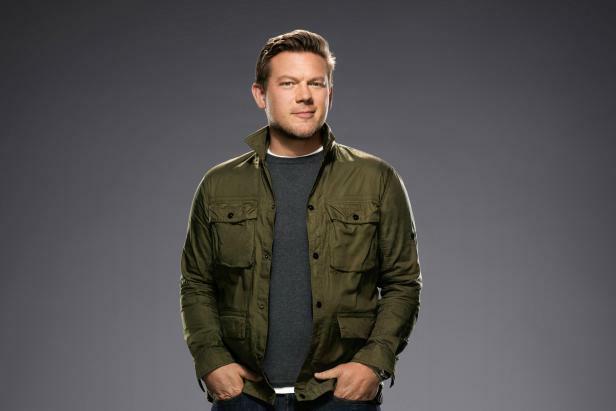 And don’t miss Tyler Florence taking on a few challenges of his own! Plus, get a taste of the food each city has to offer and find out which dishes you need to try on your next visit with the digital companion series Bite Club: Food Network Finds. FOOD NETWORK (www.foodnetwork.com) is a unique lifestyle network, website and magazine that connects viewers to the power and joy of food. The network strives to be viewers’ best friend in food and is committed to leading by teaching, inspiring, empowering and entertaining through its talent and expertise. Food Network is distributed to nearly 100 million U.S. households and draws over 46 million unique web users monthly. Since launching in 2009, Food Network Magazine’s rate base has grown 13 times and is the No. 2 best-selling monthly magazine on the newsstand, with 13.5 million readers. Food Network is owned by Discovery, Inc., a global leader in real life entertainment whose portfolio also includes Discovery Channel, HGTV, TLC, Investigation Discovery, and OWN: Oprah Winfrey Network.